First, I would bid you stand and see the place where the Lord lay with emotions of deep sorrow. O come, my beloved brother, thy Jesus once lay there. He was a murdered man, my soul, and thou the murderer. “Alas! and did my Saviour bleed? My soul was drowning. From heaven’s high portals he saw me sinking in the depths of hell. He plunged in. Ah! we may indeed regret our sin, since it slew Jesus. Now, Christian, change thy note a moment. “Come, see the place where the Lord lay,” with joy and gladness. He does not lie there now. Weep, when ye see the tomb of Christ, but rejoice because it is empty. Thy sin slew him, but his divinity raised him up. Thy guilt hath murdered him, but his righteousness hath restored him. Oh! he hath burst the bonds of death; he hath ungirt the cerements of the tomb, and hath come out more than conqueror, crushing death beneath his feet. Rejoice, O Christian, for he is not there—he is risen. 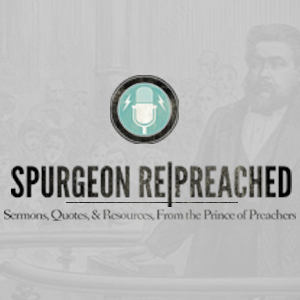 The New Park Street Pulpit Sermons, Vol. I (London: Passmore & Alabaster, 1855), 137. eBook. Vol. 1, Sermon No. 18; Titled: The Tomb of Jesus; Delivered on Sabbath Morning, April 8th, 1855. These, these are the precious truths, which a scoffing world would fain rally or ridicule us out of. To produce this glorious change, this new creation, the glorious Jesus left his Father’s bosom. For this he led a persecuted life. For this he died an ignominious and accursed death. For this he rose again. And for this he now sitteth at the right hand of his Father. All the precepts of his gospel, all his ordinances, all his providences, whether of an afflictive or prosperous nature, all divine revelation from the beginning to the end, all centre in these two points, to show us how we are fallen and to begin, early on and complete a glorious and blessed change in our souls. This is an end worthy of the coming of so divine a personage. To deliver a multitude of souls of every nation, language and tongue, from so many moral evils and to reinstate them in an incomparably more excellent condition than that from whence they are fallen, is an end worthy the shedding of such precious blood. Those things which Luke sets before us in this place to be learned are not only great, but also of rare profit; for, first, in that he shows that the Spirit of God was sent unto the apostles, he does not only prove that Christ was faithful (and true) in keeping his promise made unto his apostles; but also he certifies to us, that he is always mindful of his, and a perpetual governor of his Church, because the Holy Spirit did descend from heaven to this end; whereby we learn that the distance of place does in no way hinder Christ from being present with those that be his at all times. Now, here is most lively painted out the beginning of Christ’s kingdom, and as it were the renewing of the world; for although the Son of God had gathered together, by his preaching, a certain Church, before such time as he departed out of the world, yet, nevertheless, that was the best form of the Church which began then, when as the apostles, having new power given them from above, began to preach that that only Shepherd did both die and also rise again, that through his conduct all those which were dispersed, far and wide, (upon the face of the whole earth,) might be gathered unto one sheepfold. Here is, therefore, set down both the beginning and also the increasing of the Church of Christ after his ascension, whereby he was declared to be King both of heaven and earth. 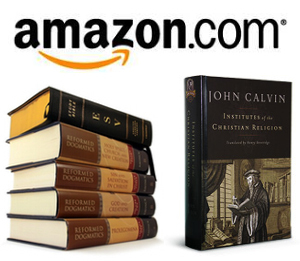 John Calvin – What Do You See at the Cross? As if the severity of the punishment had not been sufficient of itself, he is hanged in the midst between two robbers, as if he not only had deserved to be classed with other robbers, but had been the most wicked and the most detestable of them all. We ought always to remember, that the wicked executioners of Christ did nothing but what had been determined by the hand and purpose of God; for God did not surrender his Son to their lawless passions, but determined that, according to his own will and good pleasure, he should be offered as a sacrifice. And if there were the best reasons for the purpose of God in all those things which he determined that his Son should suffer, we ought to consider, on the one hand, the dreadful weight of his wrath against sin, and, on the other hand, his infinite goodness towards us. In no other way could our guilt be removed than by the Son of God becoming a curse for us. We see him driven out into an accursed place, as if he had been polluted by a mass of all sorts of crimes, that there he might appear to be accursed before God and men. Assuredly we are prodigiously stupid, if we do not plainly see in this mirror with what abhorrence God regards sin; and we are harder than stones, if we do not tremble at such a judgment as this. When, on the other hand, God declares that our salvation was so dear to him, that he did not spare his only- begotten Son, what abundant goodness and what astonishing grace do we here behold! Whoever, then, takes a just view of the causes of the death of Christ, together with the advantage which it yields to us, will not, like the Greeks, regard the doctrlne of the cross as foolishness, nor, like the Jews, will he regard it as an offense, (1 Corinthians 1: 23,) but rather as an invaluable token and pledge of the power, and wisdom, and righteousness, and goodness of God. 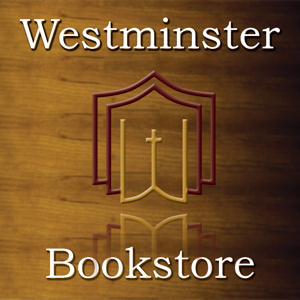 Calvin’s Commentaries – John (Spokane, WA; Olive Tree Bible Software; http://www.olivetree.com) Commentary on John 19:18.